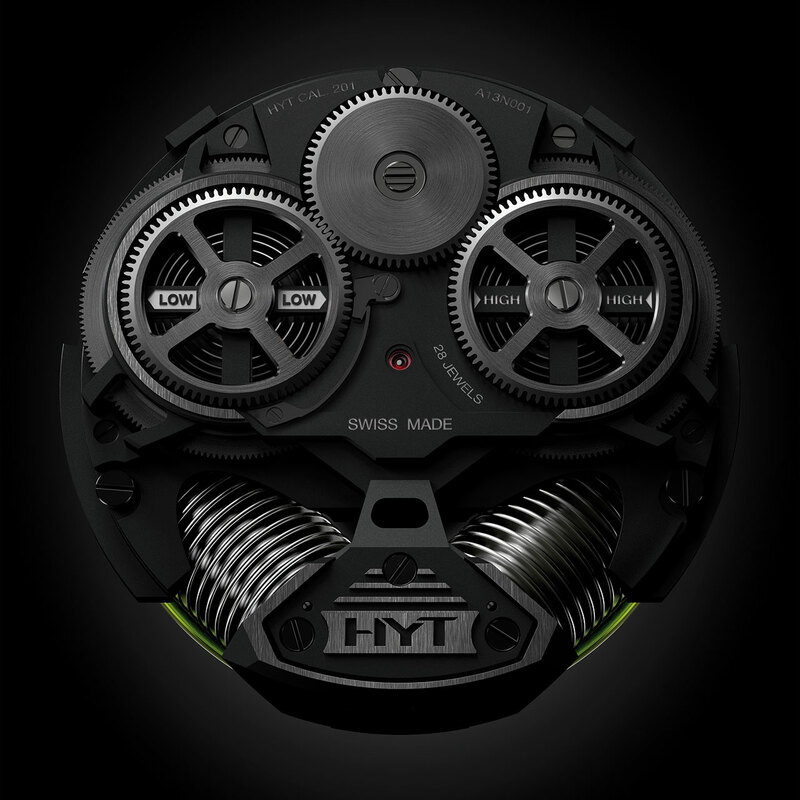 Penetrating the upper echelons of watchmaking, HYT challenges everything you ever knew about the measurement of time as it pursues its dream of hybrid timepieces, the ultimate alliance between fine watchmaking and fluid mechanics. The H2 is carried by a vision shared with Giulio Papi's teams. Set in a V formation at 6 o'clock, each of the two bellows is powered by a piston. As one compresses, the other expands to push the fluids through the circular tube around the inner bezel ring. 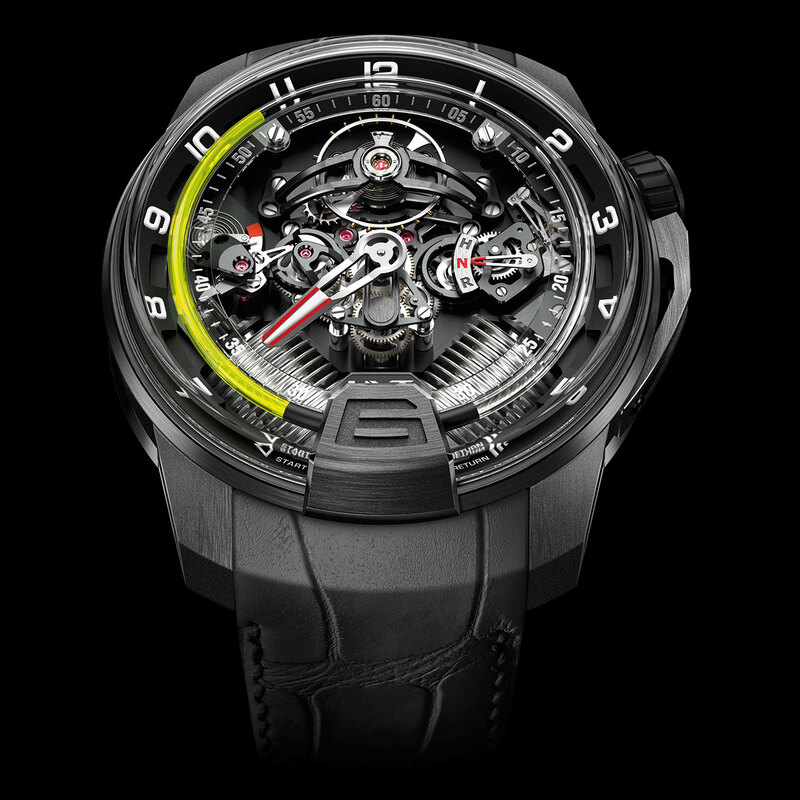 This new configuration optimises the interface between the fluidic system and the movement, whose three-dimensional architecture shows every detail of its functioning. Note the crown position indicator (H-N-R) at 3 o'clock and the thermal indicator at 9 o'clock which shows the optimal temperature range for the fluids to operate. An exceptional 50-piece limited series.